Organic. Rich and dark. Great in baking, cooking and as a topping. Naturally sweeter. Vegan. Kosher - KLBD. Our delicious Agave Nectar comes straight from the organically grown Blue Webber Agave plant in Mexico. It makes a pretty groovy alternative to refined brown sugar and artificial sweeteners. Drizzle. Mix. 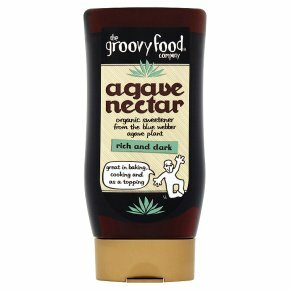 Cook Deliciously dark and smooth, Agave Nectar Rich & Dark is perfect for drizzling over food, cooking and baking.